Nearly 10,000 people have been killed in fighting between Russia-backed separatists and government troops in Ukraine’s east since 2014, and despite a cease-fire being formally in place, civilians and troops still die and get injured almost on a daily basis. The Azov volunteer battalion’s members have been fighting on the eastern front, becoming notorious for their far-right views. 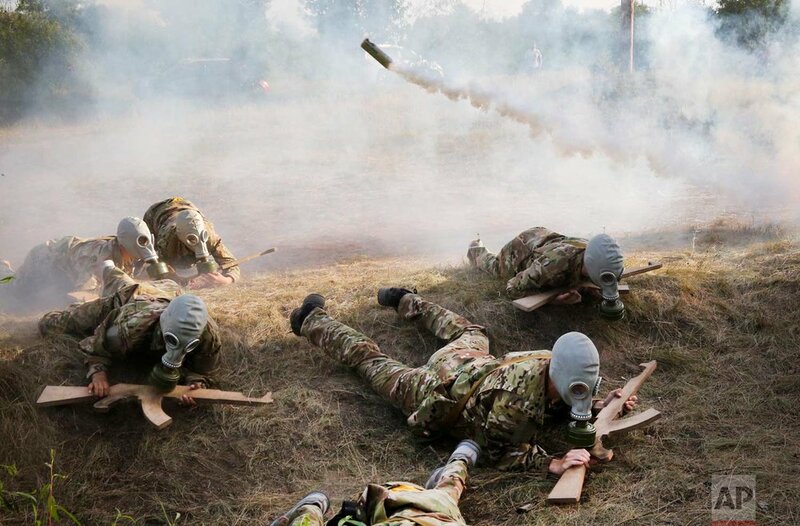 It has set up a two-week paramilitary program for children, and as of early August, more than 850 children have received training at seven Azov camps across the country. Formally part of the Ukrainian National Guard, Azov is a de-facto private army which was originally financed by oligarch Ihor Kolomoisky. Its current sources of funding are unknown, and the battalion says it relies on private donations. Its members have faced numerous accusations of human rights abuse in the conflict zone. Human Rights Watch and Amnesty International in a joint report last year said it had received credible allegations of torture and “other egregious abuses” by volunteer battalions including Azov.